Mods / Re: Upcoming unlimited weapons mod and also a Galaxy Market. For news on the current Status of the unlimited weapons MOD, please watch this 7 mins video. Be careful of the static in my microphone and hopefully it won't destroy your ears. In resume, it looks more like a XML File Content Creator Helper for Void Expanse... for the moment. It will soon evolve in something better. What you see on the program is what I created tonight in 5-6 hours of work... It's bad but I am getting somewhere. This XML File Content Creator Helper Program will be part of a bigger program that incorporates infinite items gen for Void Expanse... Gotta start it from scratch though so version 1.0 will NOT be an infinite item genererator but more of a XML File Content Creator Helper to manually create individual XML Content files for Void Expanse. Thank you for reading and hopefully you will like this addon to Void Expanse that will help you create content for Void Expanse. As some people might know, I had created some kind of a basic version for the Unlimited Items mods for Void Expanse. That MOD was created in 2017 and NEVER was released. It was incomplete, hard coded modable only but it was working for the unlimited Energy Weapon Mods. It was approx 5000 lines long in C# just to make it work... It was a pain to have coded and I knew that If I followed the same path in the future to finish the COMPLETE ITEMS Generator MOD that It would be painful and really really long to finish. I have decided to completely change the architecture of the code behind the INFinite Items Generator Program in order to facilitate completing the whole program and to make it much more user friendly... I have started two days ago. The result is very basic now as I have almost ONLY completed the generation of the "CONSUMABLE" item. If I don't let go of this idea for a week and work on it for a week, I will be probably able to generate ALL of the items (except the weapons) by the end of this week. That is how easy the new idea was to put down on code. The XML items NODES will all be hard coded in the program with their settings able to be changed. As I said, the program is in it's infancy still and although I started 2 days ago, yesterday, there only was one button visible has I didn't knew where I was heading yet with the program. Now I know. I will soon be playing too but once I put all of my mod together. Speaking of MODS. I will make a tiny announcement in the MODS section tonight. Go take a look as it will soon add countless items to the game. If you can hold your breath long enough whether it is 1 month or 6 months even, for what I am working on, you will be amazed at what you see. You will think of Void Expanse of the greatest Panoramic style Space Combat game ever created, if you don't think like that already. Keep on watching/following if you're that cold blooded follower... the patient one. I will be glad to share more news on the project as soon as I have them. Until then, Have fun playing Void Expanse and if you do download the Galaxy Market, please feel free to share any comments in the Galaxy Market thread please. Help section / Re: Void Expanse distance of view option? Ok. I hadn't built the colliders yet for all the station interiors so that is probably the problem. I will build the colliders once I finish building the unwalkable tiles manually and then test this out. Military station interior. Work in progress. phew... I'm finally done with modeling the station interiors. 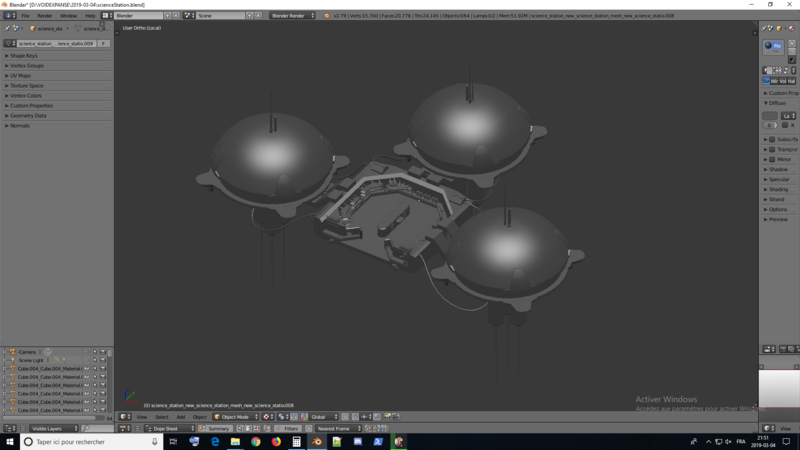 Now back to the unwalkable station interior tiles for the drone pathfind to work... Then I gotta place the colliders with the physics ajuster tool. science station interior. Work in progress. Business station work in progress. Ideas and suggestions / Re: How hard to "remove" the NPC physics deactivation in VoidExpanse hardcoded core? Nevermind about all I wrote. And ultimatum are not really a great thing to do either... I'm wondering now that I've digged into cryofall a bit if I should just discard all my work in Void Expanse and bring whatever I've learned there in Cryofall, or more precisely, the Renkei Engine. I'm gonna keep digging to see to what extent I can try to mod Cryofall before I take a decision. Sorry for saying that it was maybe too "hard" for you. What I meant is, maybe it requires a bit more "fiddling" than necessary like too many changes. I mean, I don't know how the core of the game looks like, but sometimes, the code is sooo huge especially in a finished game that it looks like a fragile spider's web. You break 1 cord, and the whole web crumbles. Also it's like knowing where all cords are attached AKA where all Global Functions and Global Variables are beeing called. I know how good all of you are at coding, it's not everyone that can release a video game. But what really is astounding is how modable the games the Atomic Torch studios make. I mean, just being able to update a server LIVE with "debug_reinit" is magic all by itself. No server restart needed. I mean, you all say that Cryofall can be "reinitiliazed LIVE within a game", well, i don't see how Void Expanse is any different from that. 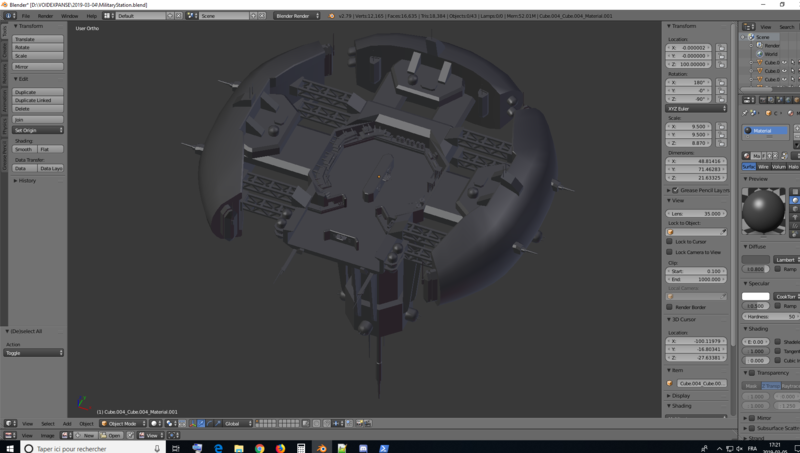 Void Expanse Engine is not far behind. But I can only imagine what it is especially since you were not alone to "make the WEB". npc.GetObstacleOnTheWay() that isn't in the official patch release. You did implement two very usefull functions in the past for Void Expanse which are "GetAsteroidsbyDistanceToNPC" and "GetCrateContainerByDistanceTo NPC" or something close to that which I am using currently for my drones to search the "scrap metals" which are actually crates. Tell you what, If you promise me that this year you will work on a new list of API functions for Void Expanse and some new tweaks, I will build you my infinite items mod for Cryofall within a month, multithreaded. But I might only share it in private. In fact, just talking about it tonight makes me want to work on it already. You remember this? I coded an infinite energy weapons mod for Void Expanse that isn't released still... I can't remember if it was multithreaded but it wasn't fast as many other personal projects that I have coded. And that was in July 2017. Lol I know, it's far away, and I got more gray hair now, but I know that I can code it too for Cryofall. I'll reply to this thread in two days with my current advancement on the infinite items mod for Cryofall. EDIT 2019-02-28: OMG... just read it. FrameWork 4.7.1 in Cryofall full c# API... that is insane. My heart is pumping like crazy. What is this new engine... And what are it's capabilities? I'm diving right in to find some answers. First Off, where is the main project starter function/script for the game? I need to load things at the start. Will post this on Discord. 03:08am - weekend has started yesterday night. I work from saturday to wednesday. But geez, I talked way too fast about making an infinite items mod. The number of items in Cryofall is quite extensive + it doesn't even use XML files compared to Void Expanse. Eh well. It's ground zero - bottom of the learning ladder. Mining Station Interior screenshots. Work in progress. I got new computer parts since Christmas. But still the old generation stuff. I wish I would've gotten a AMD Ryzen cpu, but I couldn't afford it. Anyway i'm back to something still better than what I had, a fx-8350 cpu instead of my now defunct fx-8320e. And I got a Amd radeon rx570 instead of my gtx960. Still better in VR but not really at the top. It's doing the job though. For the persistent Universe, depending on where my mod goes, I was thinking of buying a second Void Expanse cd Key to at least have 2 systems alive at all times. But i'm not sure about the "Hyper-Space" kinda system. I'm caught up in making the drone material retrievers work and whatnot anyway. So nevermind about the "hack request", I understand it will be too hard for you to fiddle on it, so i'll find an alternative to make my mod still fun to play.